"A remarkable story that will reaffirm your faith in the unique and mutually healing bond that can sometimes form between humans and animals." "I was moved by this story of resilience and love. It conveys beautifully the vulnerability and richness of a dog’s life, and the connection between their biographies and our own." "A Dog Named Leaf is a beautiful story told with honesty and depth. You'll be changed by Allen and Leaf's journey. This book will fill you with hope." "Take a break from life’s drama and venture into a world of Leaf, a rescued dog who have changed a couple’s life. Find out how rewarding adopting a dog can be, regardless of how impossible he may seem to take care of at first. 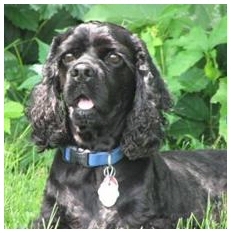 Get the book A Dog Named Leaf and be inspired." "Allen's writing is able to draw the reader into some peak moments of challenge and choice in the life of both Leaf and himself, as a family. 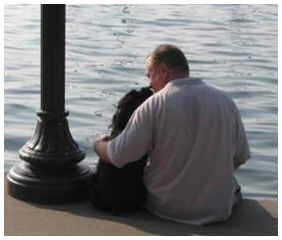 It is a rare glimpse into the deep workings of spirit through our animal human love bonds. It is one of the best examples of how we need one another to heal and that the commitment to love through all things brings forth the magic of miracles." "I truly found a kindred spirit in Allen and Linda. They believe, as I do, that we should always view our animal companions with respect and appreciation. Because when you look into the eyes of an animal, what you will discover is a spiritual SOUL that is experiencing this lifetime as your dog, or cat, or horse. For those of us who have witnessed and been forever blessed by an animal’s love, this if for you! Enjoy." "Allen Anderson writing draws the reader into peak moments of challenge and choice in the life of both Leaf and himself, as a family!" "This is a story about the marvelous bond between humans and dogs as well as the healing power of love, which can truly make miracles." 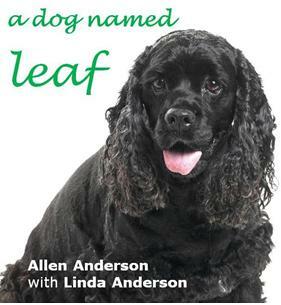 "Allen gives all animal lovers a gem in A Dog Named Leaf - The Hero from Heaven Who Saved My Life." "...The authorial voice is distinctly Allen's. 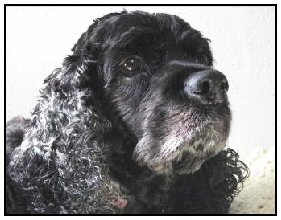 In 2006, Allen learns that he has an unruptured brain aneurysm, seven months after the family adopts a black cocker spaniel, Leaf, from a shelter. Throughout, he clearly conveys the affection that he and his dog have for each other and how that affection proved crucial to his recovery from brain surgery..."
A Dog Named Leaf is now an audio book. Visit itunes.com, or Amazon.com to download. "5 out of 5 stars. Transcends the pet-animal story genre by leaps and bounds. I finished this book in two sittings. It's a page-turner. It's about every day life in its most usual aspects -- making a living and partnering your spouse. But it's also about how the past weaves seamlessly with the future to make you whole. It's also about life and death -- enduring a life-threatening illness and having to go way beyond preconceived limits of patience and stamina."